This easy, sheet pan baked salmon dinner is packed with flavor and couldn’t be easier. 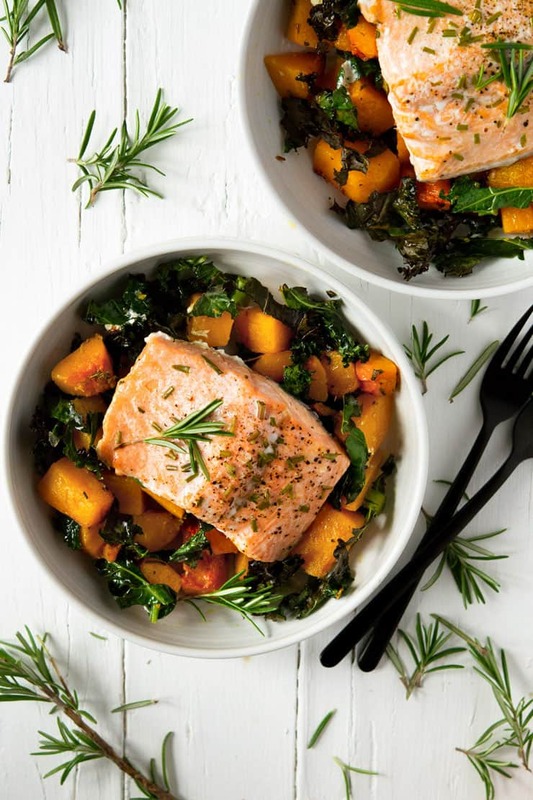 Packed with healthy, omega-3 fats from the wild salmon, as well as garlic, fresh herbs, butternut squash and kale, makes a healthy and quick dinner or lunch. Grain and gluten free. 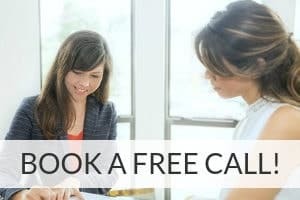 Two of the top recommendations I make to most of my Holistic Nutrition Coaching clients are to eat at least 50% plant foods and to eat wild caught fish and seafood at least twice each week. This easy baked salmon one dish is the perfect way to do that, and it’s easy to boot! Why Is Salmon Good For Us? The butternut squash is an excellent source of beta-carotene and prebiotic fiber for gut health. Kale and other cruciferous vegetables are great for fighting cancer and are helpful for hormone balance. Kale is also a good source of vitamin. Plus, this dish is allergy friendly – grain free, gluten free, nut free, soy free, and easily adaptable for dairy free. Melt 3 Tbsp of the ghee in a glass bowl in the microwave. Stir in the garlic, sage, 1 Tbsp of the rosemary, and the salt and pepper. Use clean hands to toss the melted ghee mixture with the butternut squash cubes on the foil lined roaster. Spread the cubes evenly to create a single layer in the pan. Roast for about 20 minutes, or until fork tender. Remove from oven and turn the heat down to 375 degrees. Gently toss the chopped kale with the roasted squash in the pan using a spatula. 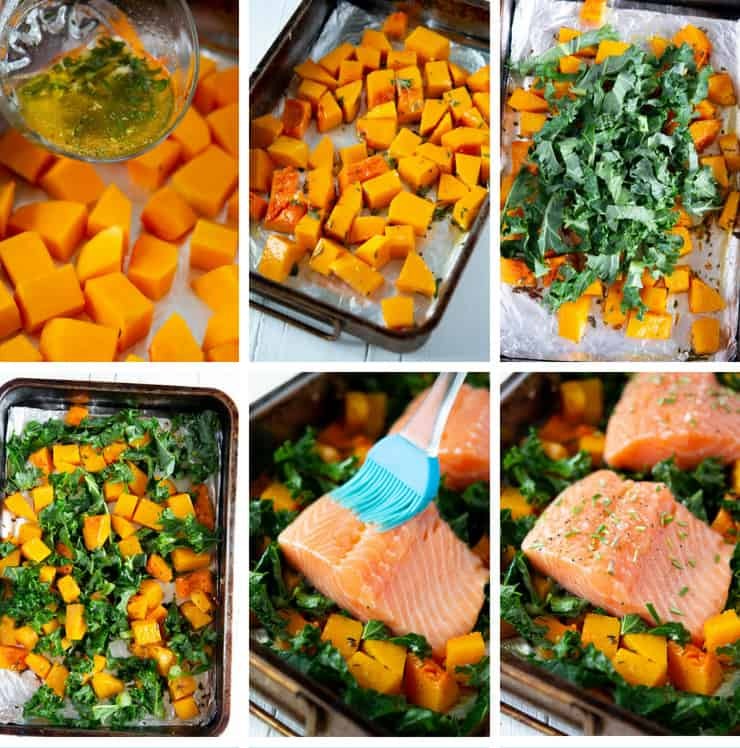 Spread the squash-kale mixture evenly across the pan, then lay the salmon pieces over the top (skin side down). Melt the remaining 1 Tbsp ghee and use a pastry brush to brush over the surface of the salmon pieces. Sprinkle the fish with additional sea salt and black pepper, then with the remaining 1 Tbsp chopped rosemary. Place in the oven for about 15 minutes, or until salmon is flaky and opaque in the center. I love that some of the kale turns a little crispy and it adds so much flavor and just a little crunch! The roasted vegetables with fresh rosemary and sage are wonderful and satisfying enough to be a meal all by themselves, but the flaky baked salmon adds a hearty finish is both lovely and delicious! Cooking healthy meals from scratch has a reputation for being labor intensive and cumbersome to clean up, but that isn’t always the case. • Line your roasting pan with foil (I prefer a double layer). When dinner’s over, simply discard the foil and return the pan to the cabinet. Add to that list the fact that I served this dinner on paper plates with plastic utensils, and this was truly one of the easiest meals I’ve cleaned up after in a while! A fantastic winter one dish that's hearty, oh-so-healthy, and incredibly easy to prepare! Preheat oven to 425 degrees. Line a roasting pan with foil. Remove from oven and turn the heat down to 375 degrees. Gently toss the chopped kale with the roasted squash in the pan using a spatula. Spread the squash-kale mixture evenly across the pan, then lay the salmon pieces over the top (skin side down). Place in 375 degree oven for about 15 minutes, or until salmon is flaky and opaque in the center. Some of the kale pieces will have a slight crisp around the edges when the dish is cooked (similar to kale chips). We love the texture contrast of the lightly crisped kale to the soft squash but, if you want your kale to soften, just add an extra tsp or two of melted ghee when you toss the kale and squash together. 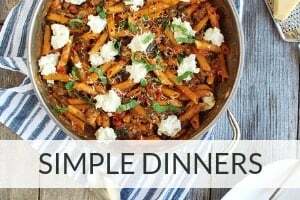 Check out these other easy dinner recipes! All of my favorites in one dish. I can’t wait to give this recipe a go. Perfect weeknight meal. I love salmon, thanks for sharing a Fall version! I need a new salmon recipe — this looks like a winner! This recipe looks super easy and full of ingredients my family loves. Looking forward to trying soon. Thank you! You’re welcome, Mary – I hope you love it! This looks so healthy and delicious. 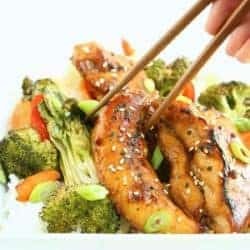 Salmon is my favorite fish to make at home! Thank you, Jill! It’s one of our favorites too! It looks so delicious. Thanks for sharing the recipe. This was a very delicious and healthy meal. 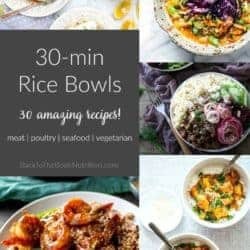 My boyfriend and I enjoyed cooking this because the process was pretty easy and we didn’t need too many ingredients that we didn’t have, most items were things we already had at home. The end result was magnifique; It was so flavorful and the perfect homemade dinner. Looks like a great dinner for my weekdays. 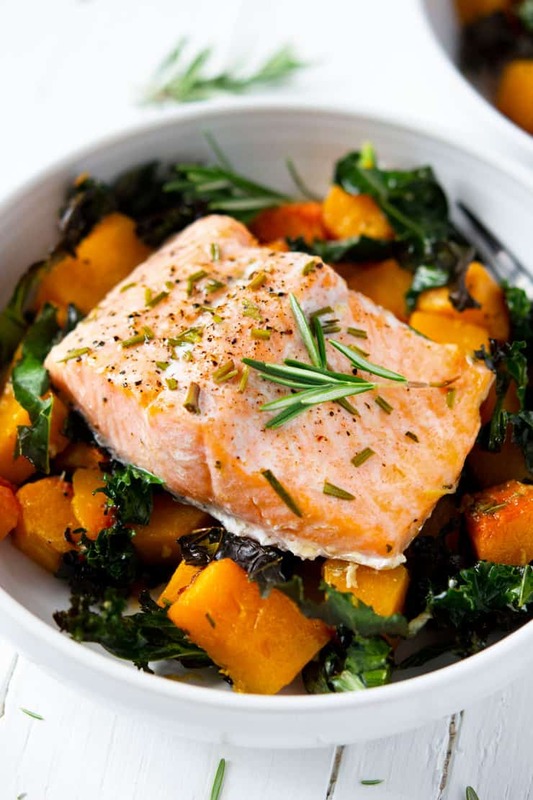 Salmon, squash and kale – beautiful burst of colors and flavors are great! I’m saving this recipe. We made it tonight, and it was very good. 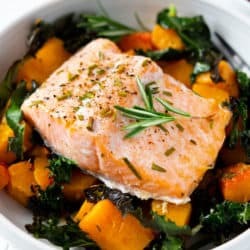 I think that the butternut squash and kale would be great together without even adding the salmon.